The standard range of Tiger Lifting manual chain blocks are manufactured to an accredited ISO 9001 system and meets all European standards and comes with an E C Declaration fo Conformity. 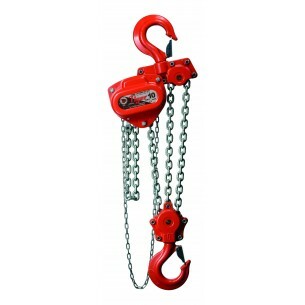 These chain hoists are built from the highest quality steel materials, offering a compact, lightweight and rugged construction. With these key features in mind the Tiger hoist produces an extremely strong manual chain hoist which is resistant to impact damage. The low product weight and short head room design allows for easy installation where every millimetre must be achieved. Using only the highest quality manufacturing materials precisely machined at the Tiger Lifting factory located in Taiwan, the TCB series of block and tackle is the ideal chain block for long term use with minimum maintenance and servicing costs. These hand chain hoists meet and exceed all the requirements within BS EN 13157: 2004+A1:2009, ANSI/ASME B30.16, AS1418.2 and SANS 1594 manufacturing standards. The highly efficient twin pawl brake on the Tiger manual hoist works instantly when operation of the unit is stopped and securely holds the load. Loads are lowered under perfect control by the operator, allowing for precise positioing. The TCB Tiger Lifting manual chain hoist easily passes the "brake lock out test" as per BS 3243 with a 5% load of the equipments rated capacity. Both the hand chain wheel cover and the ratchet brake cover of these manual chain hoists are designed to offer protection to the brake chamber in the most arduous environments including offshore applications. The TCB series of chain blocks have undergone a full and comprehensive testing regime that was drawn up by industry specialists and Tiger Lifting mechanical engineers to provide evidence that these hoist units can be safely used for “fleeting” and “cross-hauling” applications up to 45°. All such operations should be carried out in accordance with the manufacturer’s instructions and fully risk assessed by competent person. Tiger only use the highest quality alloy, calibrated load chains in Grade 80 (T) or 100 (V) on their TCB series of block & tackle units. Stainless steel load chains are availabel upon request and extra cost. Drop forged and heat treated alloy load hooks are furnished with heavy duty latch kits that fully engage into the nose of the hook offering maximum load security. The swivel hooks are attached to the yoke using high grade nuts & bolts allowing for complete inspection during any statutory inspection or written in house maintenance scheulde. Recessed forgings offer full protection to the load chain anchor bolts on all our bottom load hooks. High performance premium quality grease allows the TCB chain block to be certified for use within a temperature range of -40°C to +50°C, far exceeding the requirements of current standards. The chain end stops fitted as standard will hold a load of at least 2.5 times the rated capacity when supporting the full load without restraint from other components e.g. brake or gearing. This prevents accidents, by acting as a stop when the lift length of the load chain is exceeded when lowered. The TCB tiger chain hoist can be easily converted to have Over Load Limiters fitted. 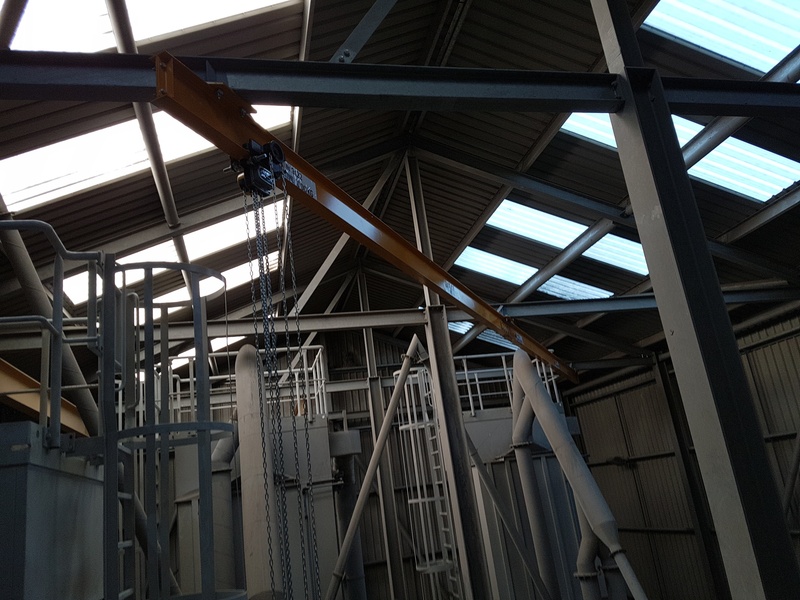 The top hook can be replaced by a competent person so the TCB can be directly fitted to the Tiger Lifting beam trolley of the equivalent capacity achieving the lowest possible headroom. The TCB Tiger chain hoist is finished in our high quality powder coat paint offering excellent corrosion protection. Each hoist unit comes fully certified with a test certificate or an EC Declaration of Conformity stating compliance with the essential health and safety requirements of the Machinery Directive 2006/42/EC. This document clearly states the proof test at 1.5 times the rated capacity and the light load test of 2% of the rated capacity, which exceeds the requirements of the current applicable standards.